In Mother Earth Has Seven Kids! 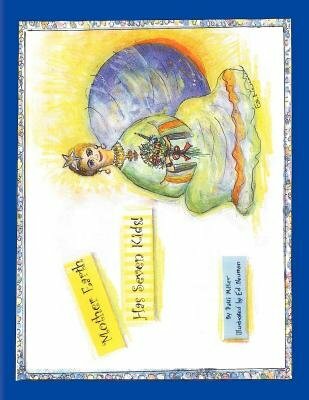 readers will travel with Mother Earth as she spins around the sun to awaken her 7 kids and later put them to bed. Her 7 kids are Antarctica, Australia, Asia, Africa, Europe, South America, and North America. These 7 kids have many fun adventures like a swim with penguins, a hopscotch game with a kangaroo, hiking Mount Everest, going to the Pyramids, eating pizza in Italy, playing soccer in South America, and watching the bulls in Mexico. Ole! Will Mother Earth finish her job in time for her kids to finish their play? Mother Earth Has Seven Kids! will give children a fun and educational look at the continents of the world.